Hi Marisa! Thanks for the great tutorial! There's one thing I'm confused about & I've watched that certain part over & over and still can't tell how you're doing it. How do you scale the pattern itself? 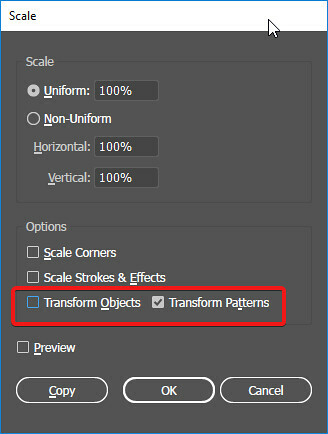 If I go to "transform" and then "scale", it just scales my rectangle but not the pattern within it. That is, I made a pattern of space shuttles for next month's science fiction blog train. From the looks of your video, I feel like after exporting it with the large space shuttles, I should be able to scale the space shuttles themselves within the pattern somehow without creating a new pattern. Am I just understanding wrong? In order to get the smaller stars did you have to re-make your pattern? I know I could just scale down my space shuttle and then make a second pattern out of that scaled down version, but watching your video it looks like you take a short cut that I'm missing. Oh! Thank you Marisa - I'll look for that! Thanks so much, Marisa! You're the best!! !